The new Anglican Bishop of Waikato has been ordained in Hamilton last Saturday. Bishop Hartley is the the 7th Bishop of Waikato and she is the first woman bishop of the Diocese. She was born in Edinburgh and moved with her family to Sunderland in 1975. She became a priest in 2005 in the Diocese of Oxford. Bishop Hartley is the fourth generation of her family to be ordained. Bishop Hartley is the the third woman to hold the position of Bishop in the Anglican Church in Aotearoa, New Zealand and Polynesia. 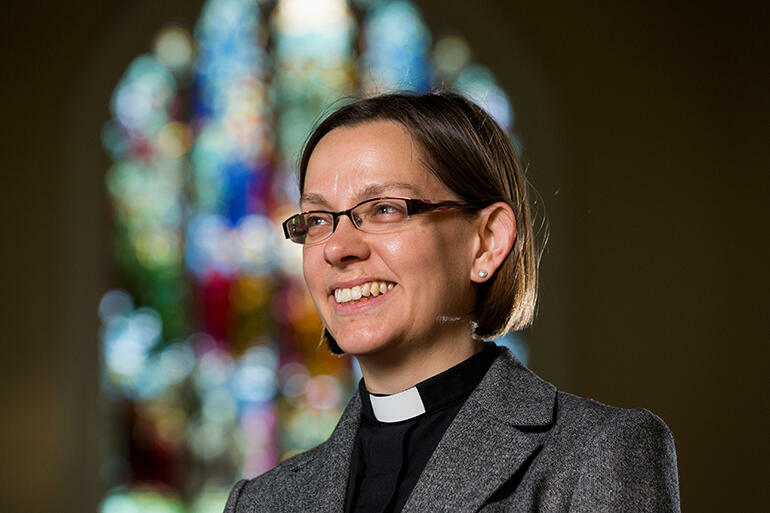 She she is the first woman ordained a priest in the Church of England to become a bishop and so her ordination is being followed with interest by UK media. The Church of England is currently debating the issue of women being allowed to be bishops.